It was a bright pleasant morning on Nov 14, 2016. Hindus across the world were busy celebrating Kartika Pournami - the full moon day in the Hindu month of Kartik - the most auspicious day of the month. It was a holiday for most of the schools in the city. 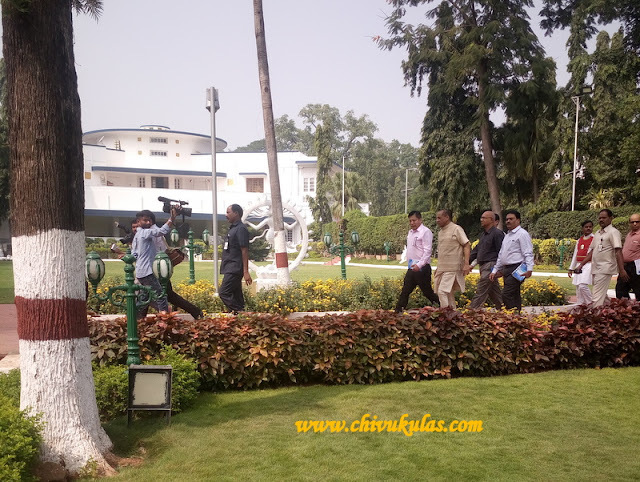 We drove to Raj Bhavan, Hyderabad and reached the place sharp by 10:30 a.m. The reason, my daughter who studies in Std II in Chinmaya Vidyalaya at Begumpet, Hyderabad, got the wonderful opportunity of meeting our State Governor, Sri E.S.L. Narasimhan on the occasion of Children's Day celebs. 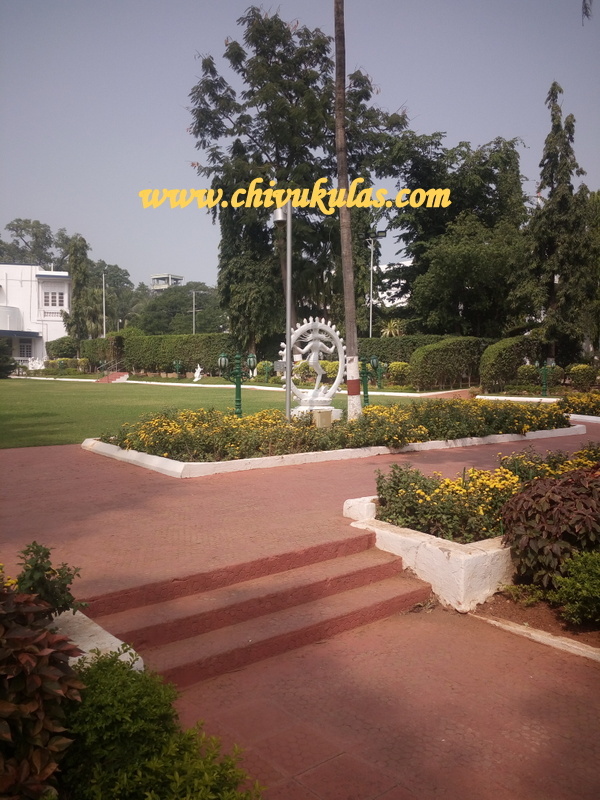 Raj Bhavan is the official residence of State Governors in India. More than my daughter, it's I who got too excited and was eager to meet our Governor. 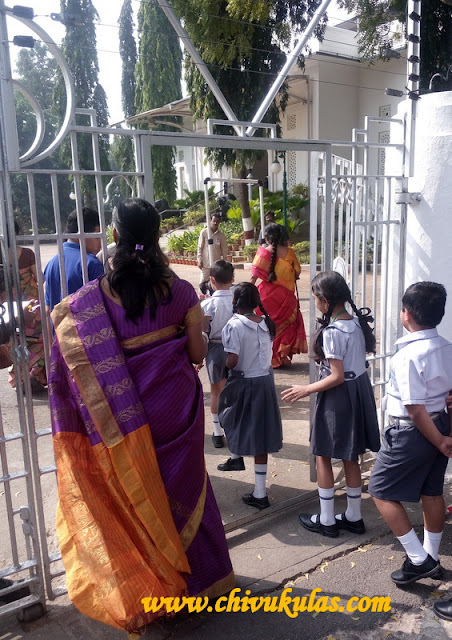 On reaching the venue, we saw the primary class children and few teachers waiting at the entrance gate. One of the teachers in-charge was checking the attendance of the children. There were children from other schools too waiting at the entrance gate. After a while, the children were allowed to move in along with the teachers. 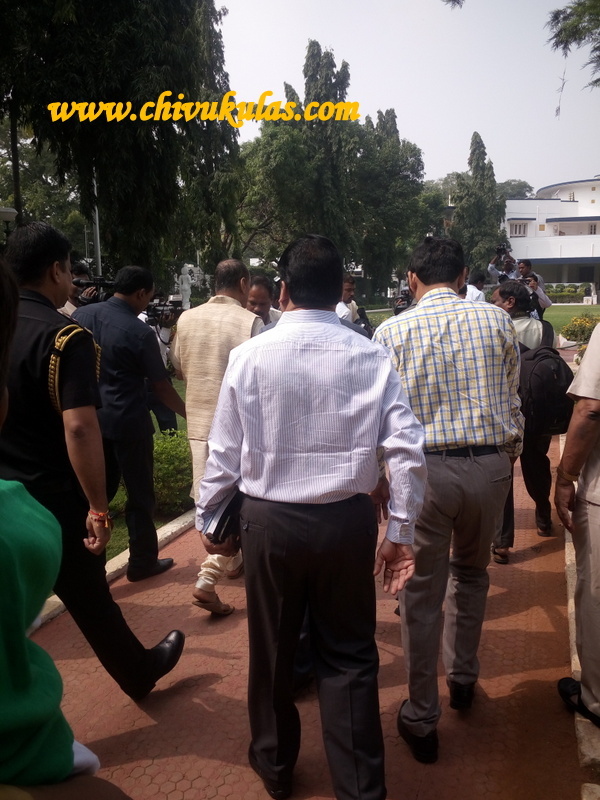 And the parents too got the wonderful opportunity of getting into Raj Bhavan along with the children. It was a real memorable moment for the parents who got the chance of meeting our State Governor. On entering the premises, they were taken to a place at the entrance garden where there were few exhibits like 'Importance of Fruits and Vegetables', 'How to test the presence of iodine and iron in salt', 'Diet & Diabetes' etc. 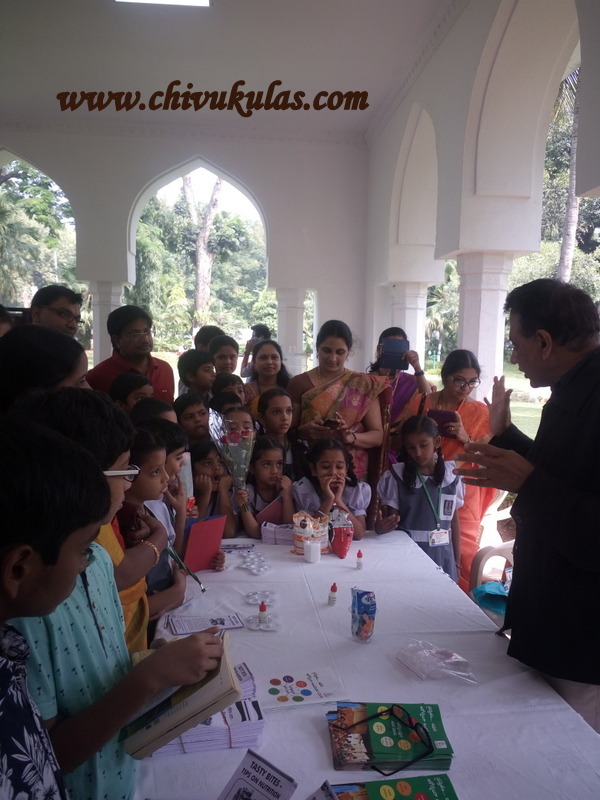 The organizers explained in detail and the kids listened with interesting. 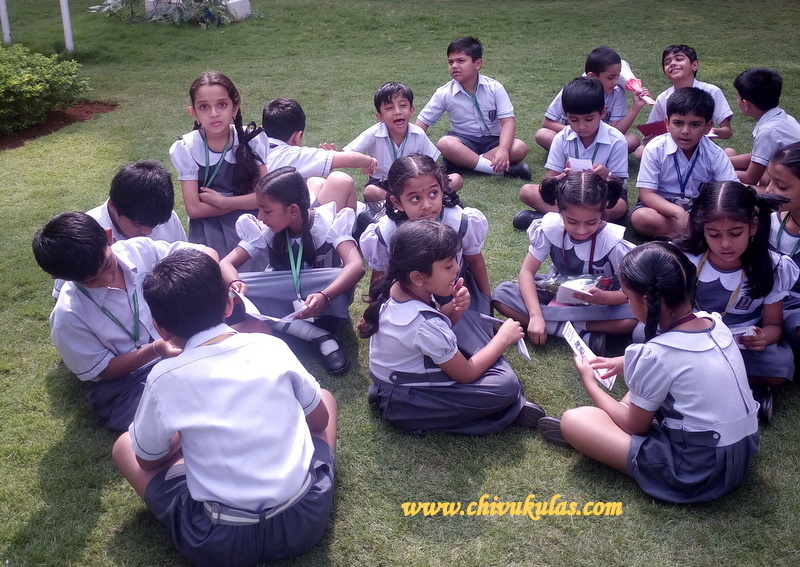 After going round the exhibits, children relaxed for a while in the lawns. Parents, as always, busy clicking pics. 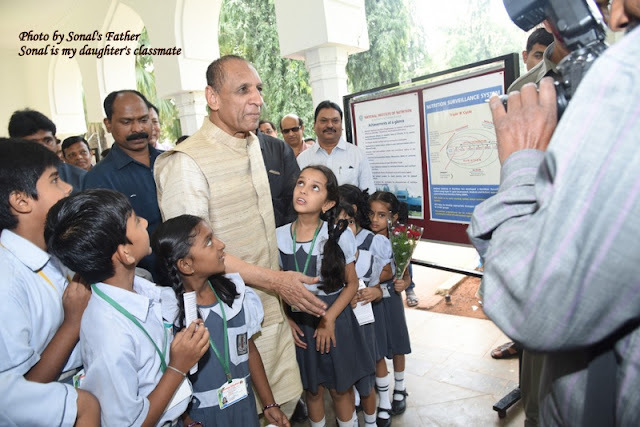 It was told that Governor Sri Narasimhan, is coming to see the exhibits and interact with the children. Suddenly everyone got alert as Governor walked in. It was a real memorable moment for me as I got the chance of seeing our Governor so closely and greeting him with a traditional 'Namaste'. The media people were running here and there with the cams. He went round the exhibits along with the children and explained them about the importance of taking locally grown seasonal fruits. The children listened to them with great interest. After going round the exhibits, he walked towards Durbar Hall. Elaborate arrangements were made here for Governor's direct interaction with the children. 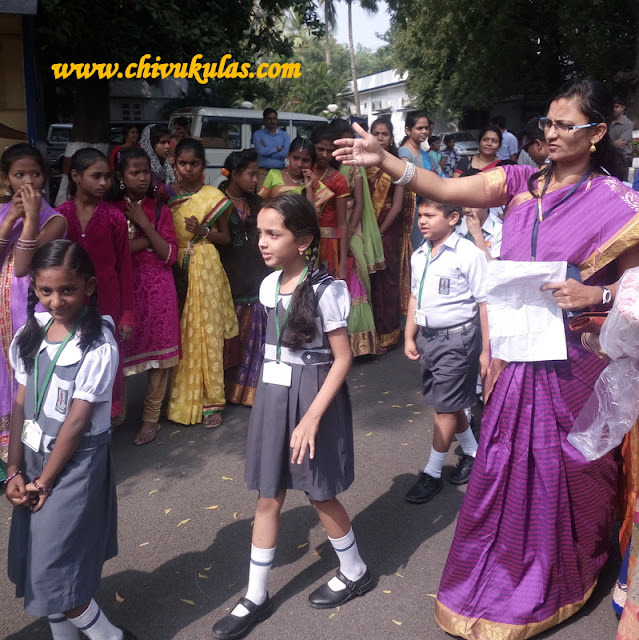 The teachers in-charge, took the children in lines to Durbar Hall where they had to wait in lines. Inside the hall, there was photo session of the school children, one school after the other. The people in-charge were sending the school children in lines one after the other. 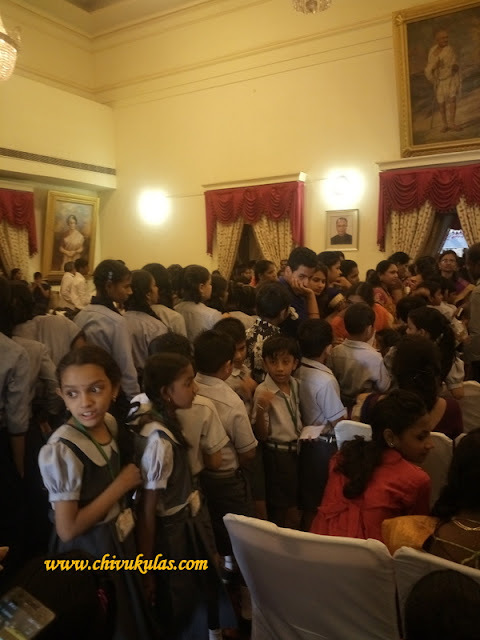 Finally, it was the turn of Chinmaya Vidyalaya students to meet Governor Sri Narasimhan. 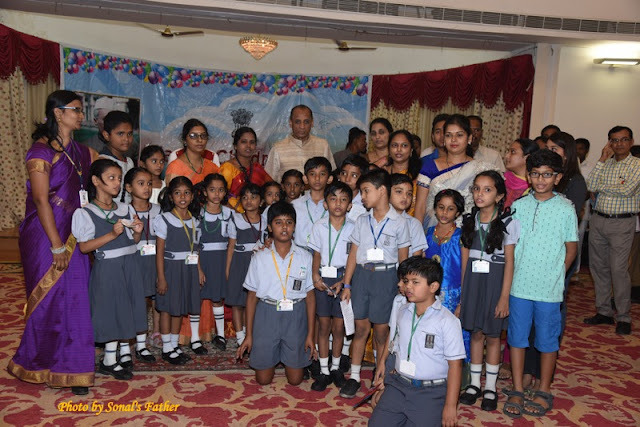 The teachers and children immediately sang 'Ai Priya Sakhe' (the birthday song sung by the students of Chinmaya Vidyalaya) and then posed for a group photo with Governor. As the children moved out in line, luckily we got the chance of meeting our Governor. We greeted / wished him and walked out. Before leaving, the children got mazaa (mango juice) packet and a small chocolate bar. It was 11:30 a.m by the time we came out of the gate. 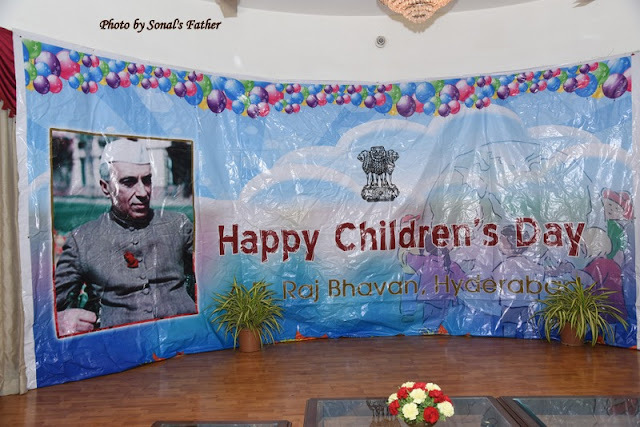 We thanked the teachers and were back home with memorable moments of the Children's Day celebs at Raj Bhavan in Hyderabad.